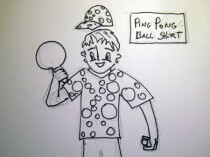 My brother has been playing in a ping pong league. The other day he mentioned that all the different teams have different shirt colors. His teams colors are brown. It made the think that the team with the most messed up colors or crazy patterns might have a slight advantage over the opponents. That’s when I thought that a shirt covered in a variety of different shaped white circles would not only be stylish but might also be rather useful against tough competition. Certain times opponents might be confused and lose focus on the white ball as it gets lost against the backdrop of your awesome shirt. I realized that this same concept might be applied to a variety of other sports. Imagine watching Serena Williams playing a match in a beautiful outfit covered with wonderful green tennis ball pattern. Perhaps she might want to sport a hat with a number of tennis balls dangling off of it at different lengths. 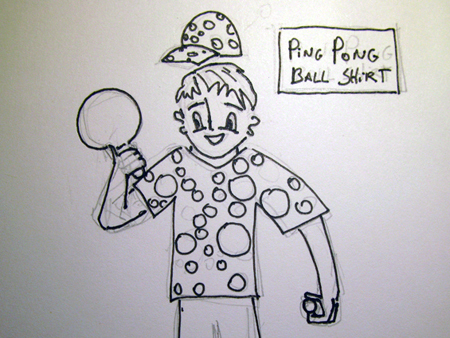 I’m guessing that just a high contrasty shirt might do the trick of confusing your opponent too. 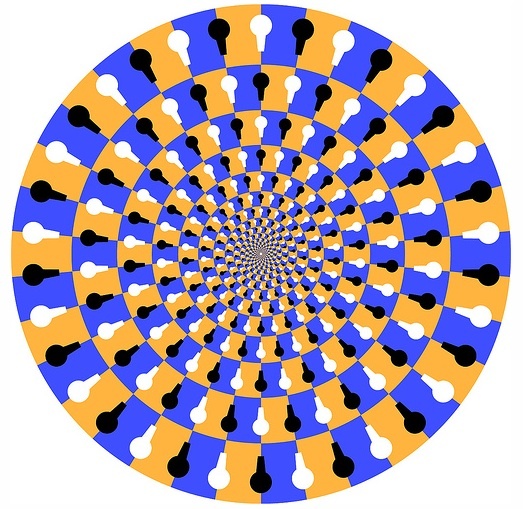 Much like this optical illusion below. Good luck trying to score while staring at that image. Of course access to a fancy clothing design might not always be an option. In sports like basketball, baseball or golf, a constant high pitch screaming at your opposing team might work equally as well, if not better. Previous Previous post: Perfect Pickle!